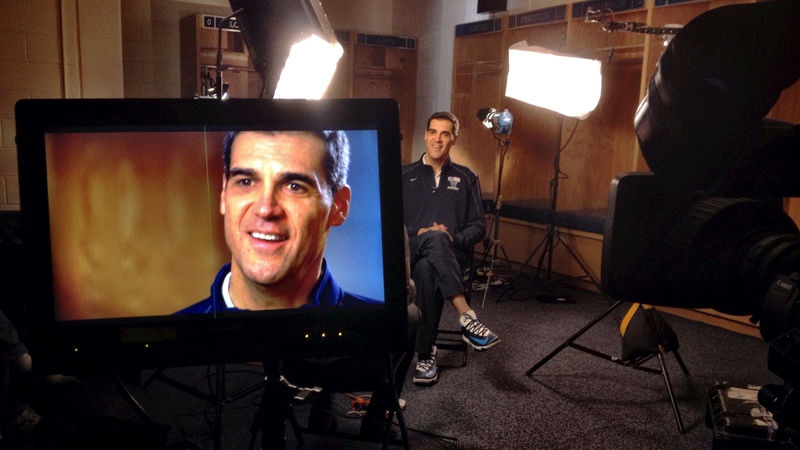 I recently made the trek down the turnpike to Villanova for a quick shoot with HBO Sports. We were working a piece about NBA Hall of Famer Jerry Brown. Brown is good friends with Villanova’s Jay Wright so Coach Wright sat down with us for the piece. Coach Wright was also insanely fascinated with TV production and was excited to look at all the gear we brought. He had a huge smile on his face during room tone and was determined to figure why we made him sit in silence for 30 seconds.